Astarte Moon Inspirations a life closer to nature's rhythms : The Moonbow or Lunar rainbow, have you ever seen such an amazing site given to us by our Mother Earth? 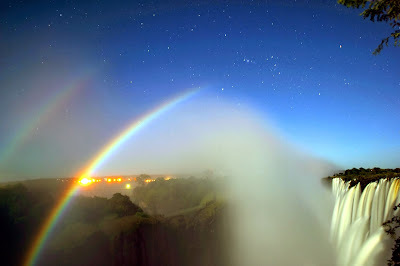 The Moonbow or Lunar rainbow, have you ever seen such an amazing site given to us by our Mother Earth? A moonbow is a rare and special phenomenon to behold, another of the wonders of our incredible Mother Earth. 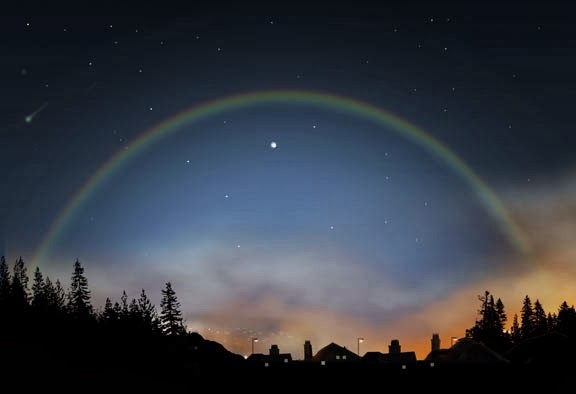 A moon bow is just as it seems: a rainbow but made from the light of the moon rather than the sun. They are also called lunar rainbows. Moon bows are rare because the moon shines very little light compared to the light coming from our sun. Our Sun is roughly 400 times larger than the Moon. But the Sun also happens to be 400 times further away than the Moon, and this has created an amazing coincidence. This coincidence means that the sun and moon appear to be the same size to us and this is why we experience the amazement of eclipses. In actual terms the brightness we get from the sun is 400,000 times brighter than that we receive from the moon, thus conditions have to be exactly right for us to experience a moonbow or lunar rainbow. The Supermoons that we have experienced this year would be a great time to observe a good moonbow as the Moon is larger and closer to the earth when it is a supermoon. The other conditions required for this event are that the sky must be as dark as possible and there must be some sort of rain falling or other moisture such as a big waterfall. The Moon must be clearly visible in one part of the sky while rain or other moisture falls in the opposite part. As the moon strikes the falling water droplets, the primary rainbow is produced in exactly the same way as a rainbow from the sun would be. The moonbow though is much less intense as there is a lot less light and often looks dull grey or white to the naked eye. This is because when we look at the moonbow, because of the low light we are using our rod vision which is not colour sensitive. Photographs of moonbows that show the colours are possible because a long exposure with a camera can allow the colours of the rainbow to filter through. Often photographs need to be exposed 400,000 times longer than would be normally used during the day to compensate for the fact that the moon is 400,000 less bright! This means that often when you look at photos of moonbows it appears like daylight but it isn’t it is just the way the photograph has been exposed in order to see the moonbow. The very best examples of a moon bow or Lunar Rainbow can be seen when water droplets are blown down-wind ahead of the main body of a shower or convective cell. When this happens the Moonbow can be viewed against a clear sky background filled with bright stars. The other great viewing opportunities are near some of the world’s most spectacular waterfalls. Yosemite National Park and Victoria Falls are particularly good places to spot a moonbow. Other locations include Ireland and Hawaii. I haven’t had the good fortune to behold the wonder of a moon bow. I think that rainbows are such an impressive site, so to see a moon bow would be amazing. 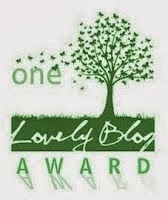 I would love to hear from any of you that have witnessed such a site.